Zee World’s most loved and fans favorite, Twist of fate will be seen going through a whole lot of twists as Tanu gets a new accomplice to throw Pragya out of Abhi’s life for good. After the encounter of Abhi getting his memory back, Pragya finally find some happiness in her marriage but the 3 musketeers(Aliya, Tanu, Nikhil) are hell-bent on breaking the couple apart. So, they hire a sharpshooter named Commando to murder Pragya once and for all. As per the ongoing storyline, it is seen that Commando eventually succeeds in shooting Pragya. Abhi and Purab tries their utmost best to find her but they get a devastating news of Pragya’s death. Abhi is distraught on hearing this while Tanu and Aliyah celebrate their victory. 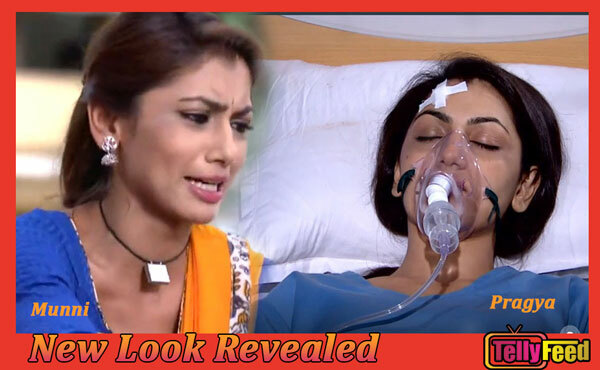 Later, we are shown Pragya at the hospital struggling for her life in a coma, on the other hand, Tanu comes across a villager named Munni. Munni looks exactly like Pragya so Aliyah uses this to involve Munni in their plans. They plant Munni in the Mehra mansion to act like Pragya. Abhi sees Munni and assumes she is his wife so he showers her with love and affection, Munni also seems to be falling for him yet she obeys Tanu’s orders. Pragya recovers and goes back to the house but she gets the shock of her life when Abhi refuses her and stick to Munni. With this turn of events in Abhigya’s life, do you think Abhi will accept and recognize his Pragya back? And will Tanu’s evil plans backfire on her? Read More on January Teasers Stay tuned!